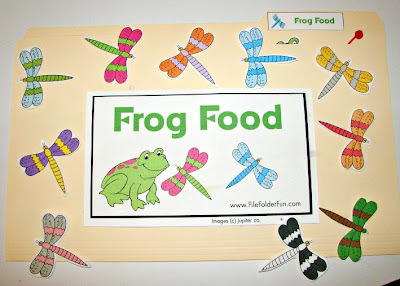 In honor of our Pond Life theme, Valerie was kind enough to create a brand new Frog Food File Folder game for us! You can find it here! It is SUPER cute, as are the rest of her File Folder Games! Thank you to Valerie for creating this for us!!! !